Our reputation has spoken for itself since 1989. 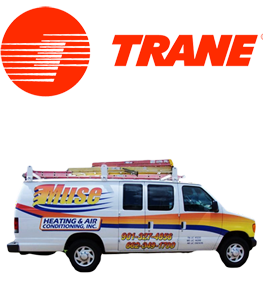 Muse Heating and Air Conditioning was started in 1989 with a desire to give quality service at an affordable price. We pride ourselves on fast courteous service going the "extra mile" to accommodate our customers, both residential and commercial. With the "we never met a stranger attitude" we have many success stories and have made many friends along the way. Won't you call us and become part of our family? We at Muse Heating and Air Conditioning offer a wide variety of services including: most all forms of new construction, remodeling and replacement of out dated HVAC systems. We also do gas piping and gas logs. Being a Honeywell authorized representative, we offer the best in indoor air quality for your home or office with everything from air filters to ultraviolet lights for complete comfort and home automation. Give us a call today and let us show you how we make your life more comfortable and healthier. With Proverbs 22:1 as our goal, we truly believe that to succeed in business and life you must have a good name or you will not last long. The last point (TRUST) is one of the most important. With 40% of our business done on a handshake and a man's word, we at Muse Heating & Air Conditioning are a company you can indeed trust. MUSE HEATING & AIR CONDITIONING is dedicated to providing the best indoor comfort solutions for families. We understand that your home is your sanctuary and we display the highest level of honesty, expertise, quality, and professionalism in designing, installing, and maintaining heating, ventilation, and cooling systems for your home. Our certified technicians take the time to learn your individual comfort needs and apply years of technical and practical knowledge to offer you the best possible solutions to ensure you get the comfort and efficiency that you deserve from your heating, ventilation, and cooling systems. With our up-front pricing policy, you'll know the entire cost of a repair or installation before we begin any project. You won't have to worry about how long it will take for the technician to resolve your HVAC issues. Our technicians are paid an hourly rate – not commission like most of our competition – so they don't have a financial incentive to drive up your bill. Their only incentive is to keep you satisfied and develop a relationship so that you will remain a customer for life. Any mistakes we make, we will do everything we can to make you satisfied. We guarantee that we will listen to and understand your needs, drawing upon our expertise with similar situations, before making recommendations or beginning work. We guarantee that we will give you an accurate estimate of costs, to the best of our ability. We want you to be our customer for life. We guarantee that we will care for your home, your yard, your pets and your family as if you are part of our family. We guarantee that we will clean up during and after your installation. We will educate you about your choices and make recommendations to you. We will install the best solution for your situation, considering your needs and budget. We will make sure you know our credentials and expertise in working with the products we recommend.